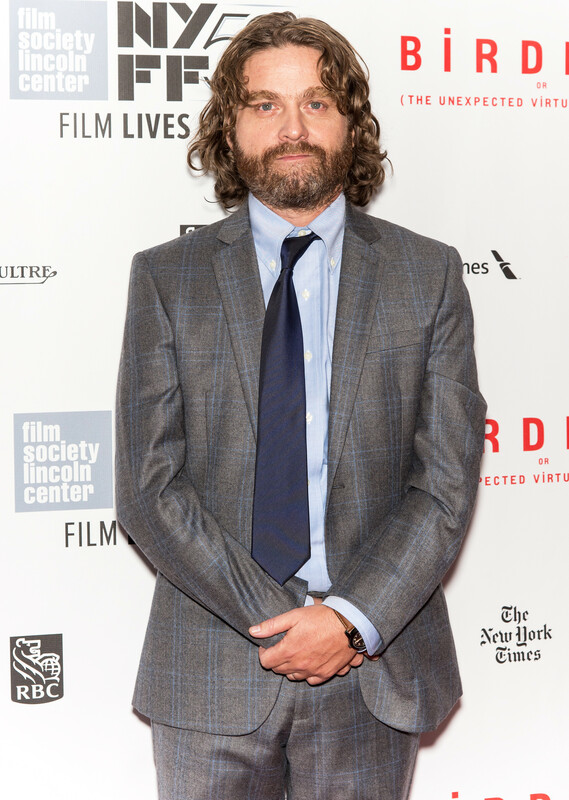 If you ask Zach Galifianakis about his weight loss, he might not take you seriously. Galifianakis had not made a public appearance since last October, but he stepped back into the limelight again on Sunday to promote his new flick, "Birdman (Or The Unexpected Virtue Of Ignorance)." On the red carpet, E! News' Alicia Quarles asked him about his dramatic weight loss. "No, I'm just ... I'm dying," he deadpanned. "But you look good. That suits you very well," she responded, pointing to his suit. "Thank you, it's a ladies' [size] 50," he said. Galifianakis sat down with Jimmy Fallon Monday and shared his true feelings about red carpet questions with "The Tonight Show" host. "I live for the carpet. Salt-of-the-earth people there," he joked. "There's excitement and you kind of have to feign this excitement. And then you have to answer questions that, I find, the questions are boring. So I try to liven it up a bit." He then explained how he told the reporter he's dying, but she continued talking about his outfit: "They don't pay attention. They're not interested. They just want you to screw up. That's all they want you to do." Last year, the 45-year-old funnyman told Conan O'Brien he had stopped drinking and the weight came off. "I was having a lot of vodka with sausage," he joked. "Delicious, but bad for you."